Priority Pass has come up with its list of the best airport lounges in the world in 2016. 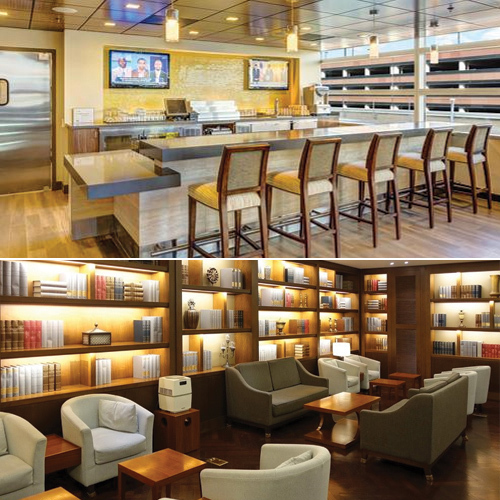 Over 60,000 members of a lounge access club voted for world`s best lounges this year. Most of these lounges allow you to take a shower, have a sleep in your own bedroom, indulge in a spa treatment or dine on gourmet cuisine. `As our network grows, so too does our knowledge and understanding of the changing global demands of the 21st century traveller, something that informs every level of service in the lounges in the Priority Pass network,` said, Stephen Simpson, global marketing director for Priority Pass. Here are the world`s most beautiful airport lounges of 2016.